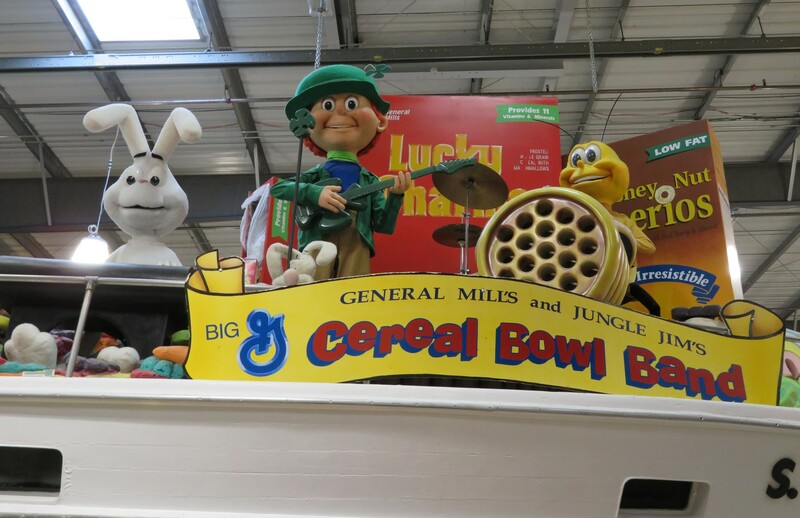 Our First Jolly Jaunt Through Jungle Jim’s « Midlife Crisis Crossover! 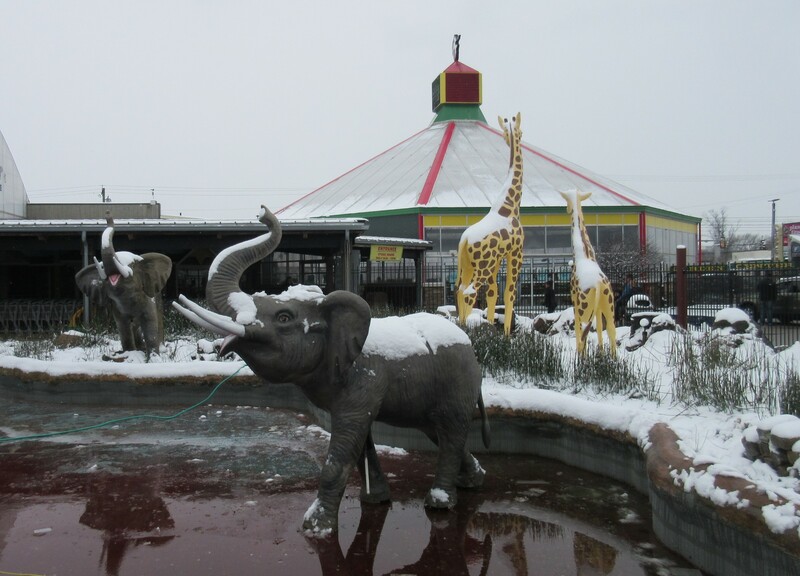 African wildlife greets us outside on this snowy spring weekend. 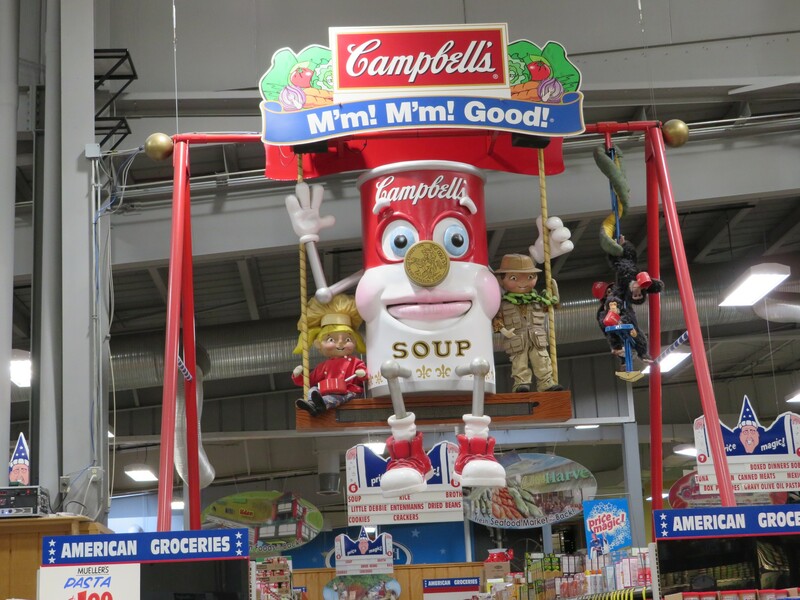 A can of soup in a swing oversees the token American food section. 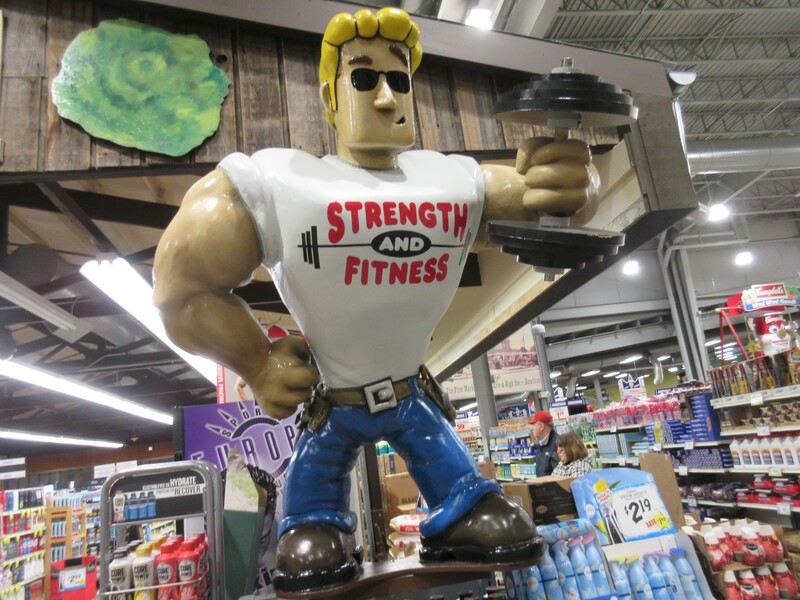 Johnny Bravo’s off-brand second cousin guards the health supplement section. 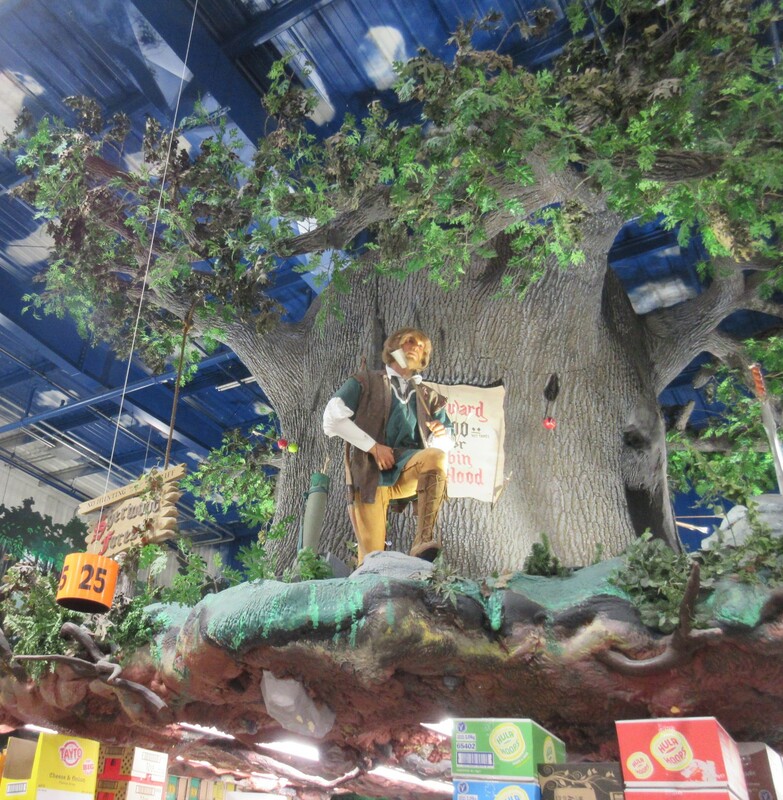 A slightly moving animatronic Robin Hood above the UK aisles poses like he’s about to take from the rich, but then he totally doesn’t. 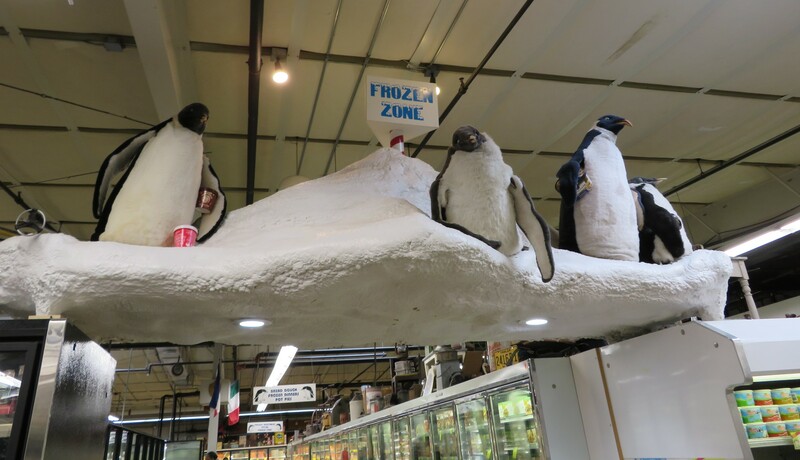 Penguins flippantly frolicking over frozen foods. 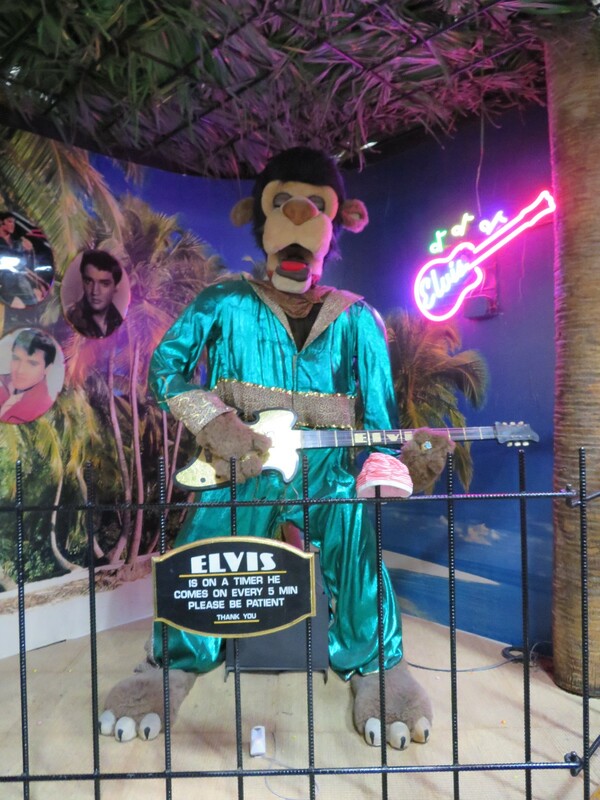 Wikipedia says this animatronic, singing Elvis impersonator is a lion. I thought it was a monkey. Only its manager knows for sure. 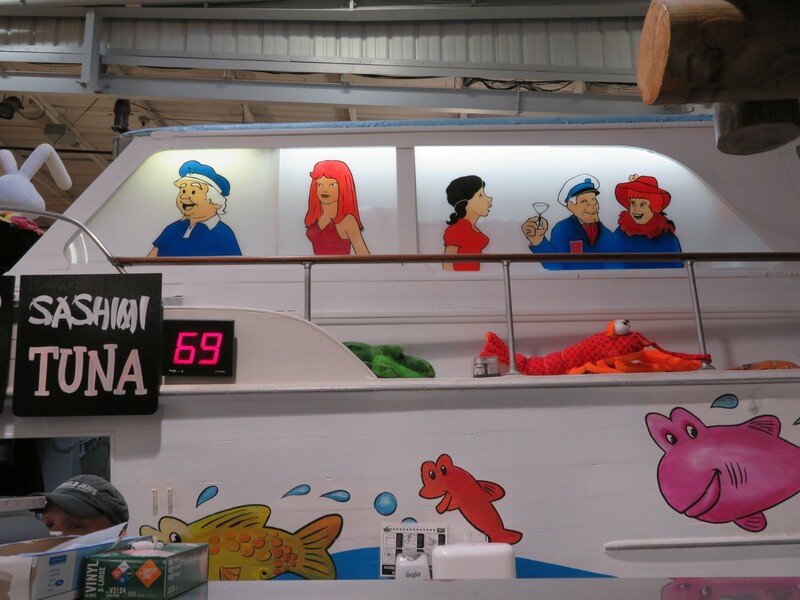 The cast of Gilligan’s Island rides aboard an S.S. Minnow parked in the middle of the fresh seafood area. 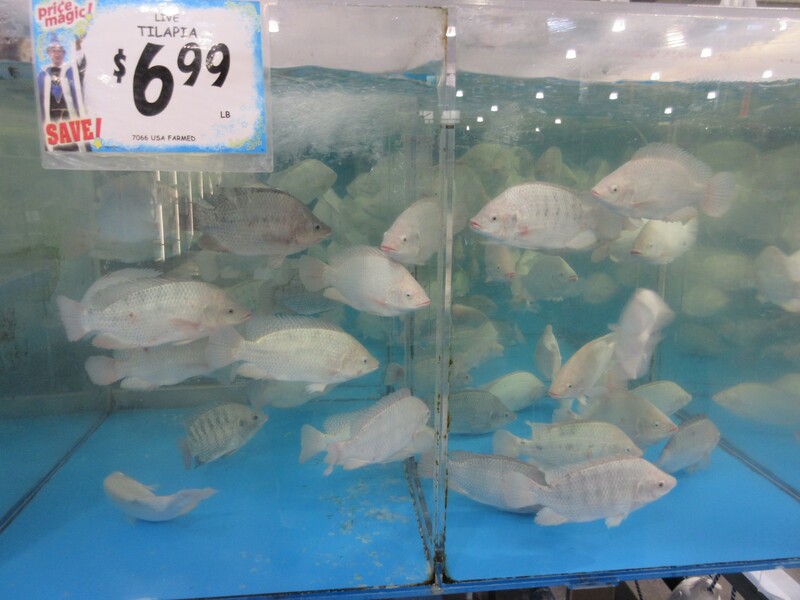 I’m not sure if choosing your own tilapia holds quite the prestige as picking a lobster at a five-star restaurant, but it’s a featured privilege anyway. 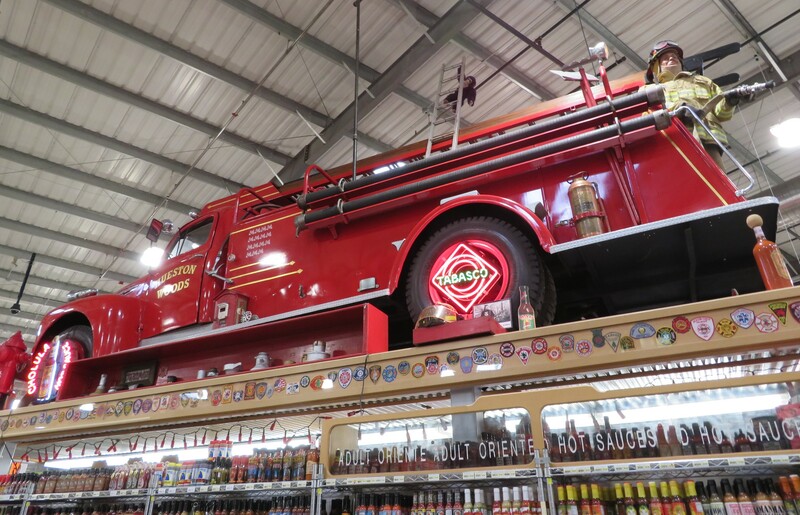 An overhead fire truck marks the largest hot sauce display we’ve ever seen. 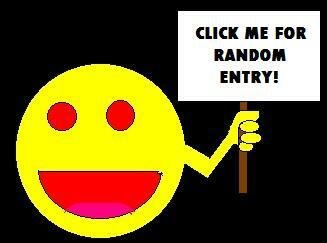 This is a mere fraction of the options at hand. 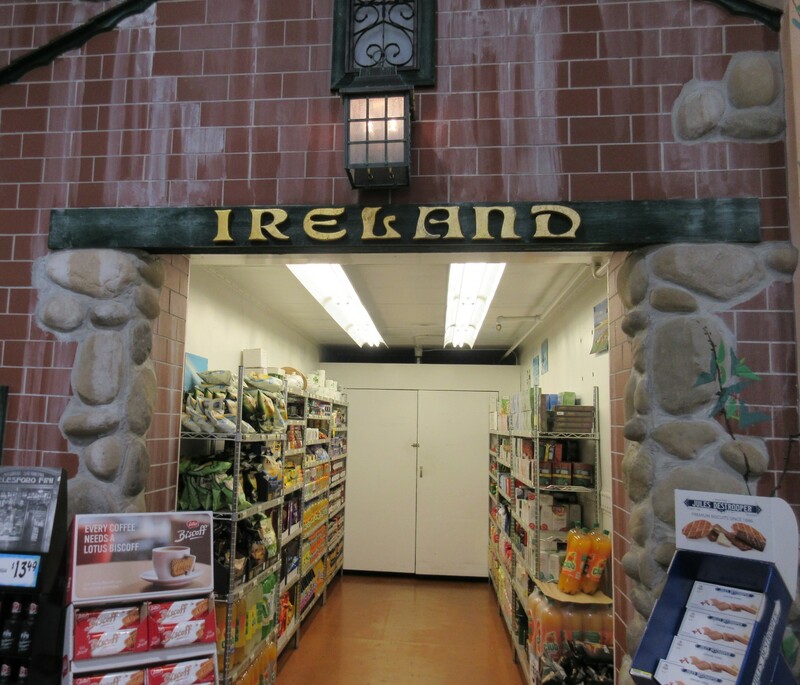 Several European nations such as Ireland have separate nooks in the back of the store. 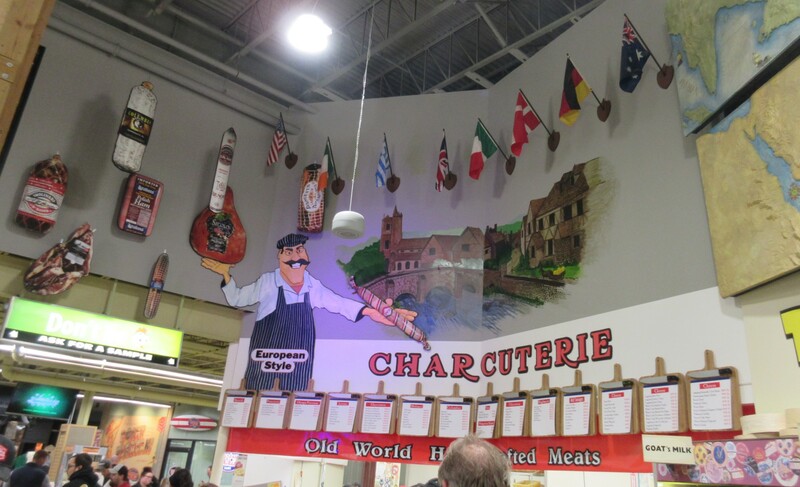 Trained professionals staff a series of fresh counters, including the first charcuterie dealer we’ve ever seen. 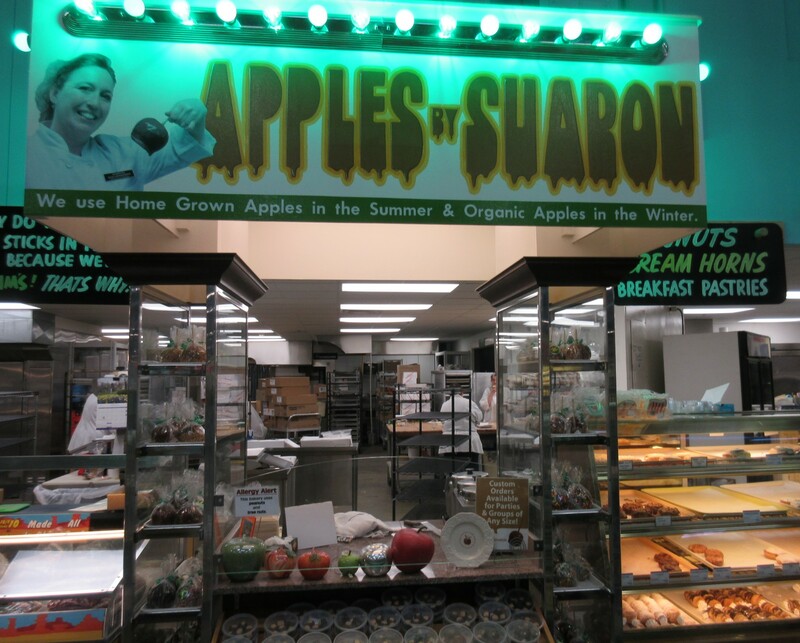 Anne no longer has to wait for the next State Fair to get a caramel apple fix. Cakes and jerky, cakes and jerky / Go together like gravy and turkey! 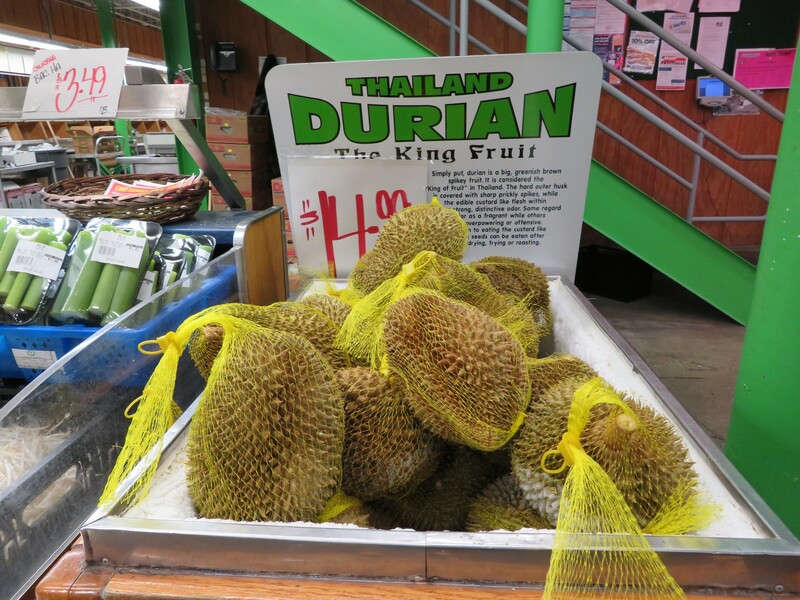 Anne and I have only seen the horrors of durian on TV shows like Chopped, where its existence was deemed unholy and regrettable. 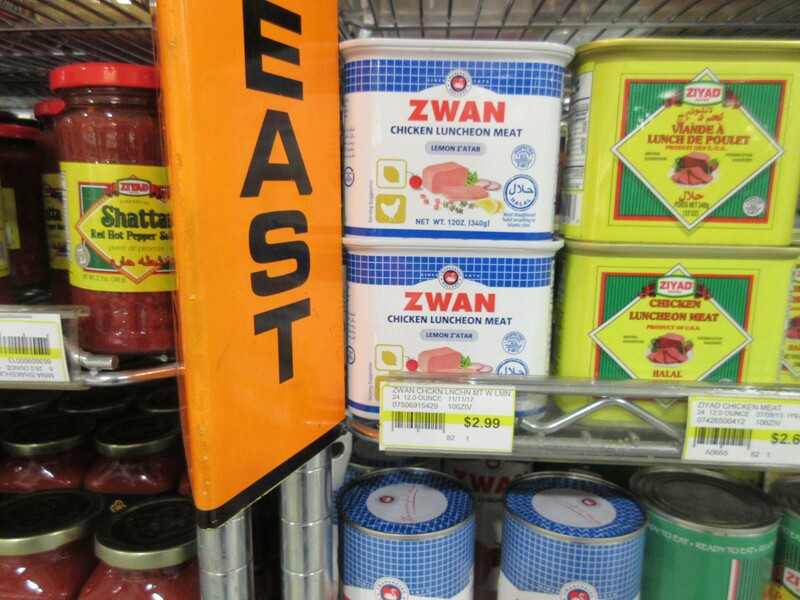 My son was once exposed to some in a Chinese food class in college. He had zero kind things to say about its toxic stench. 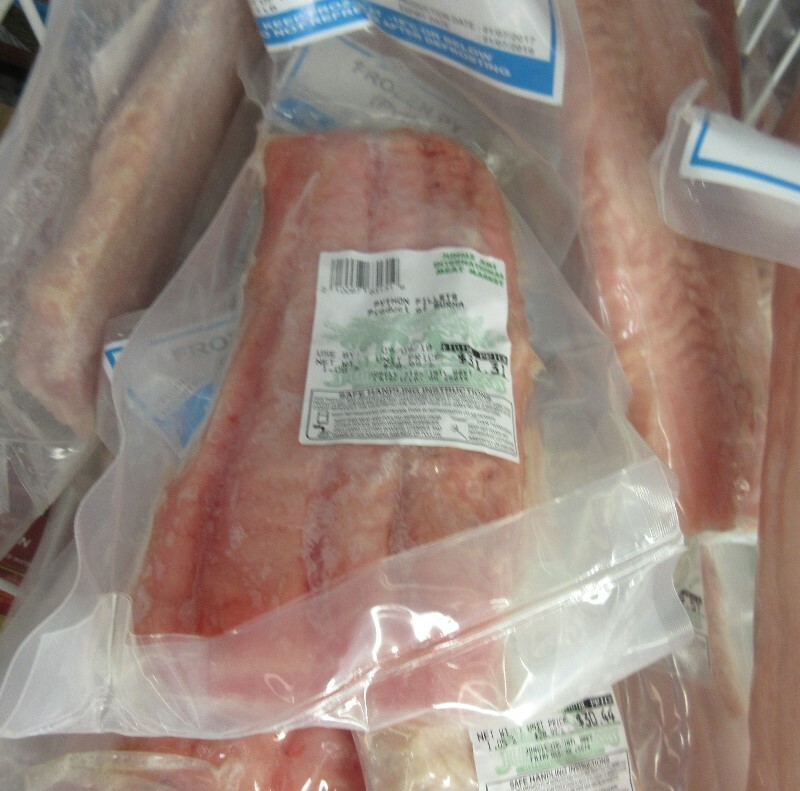 Python fillets for the discerning, upscale gourmand. They also had bone-in rattlesnake, which…do they even have McNugget recipes for that? 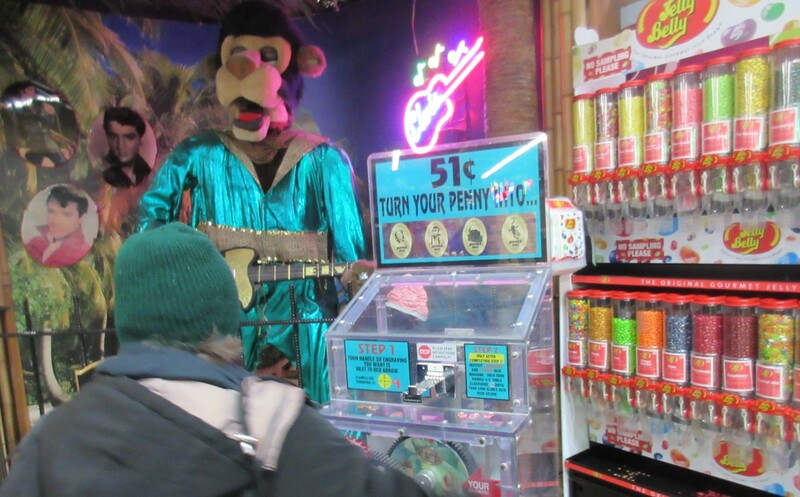 Anne’s favorite part: a smashed penny machine! Another set of travel tokens to add to her collection. 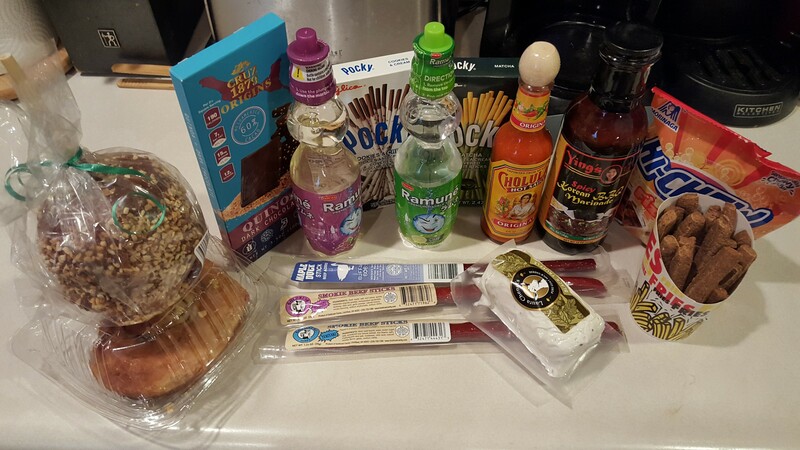 Some of the loot we brought home, including some Japanese snacks for my son and treats for the doggo. 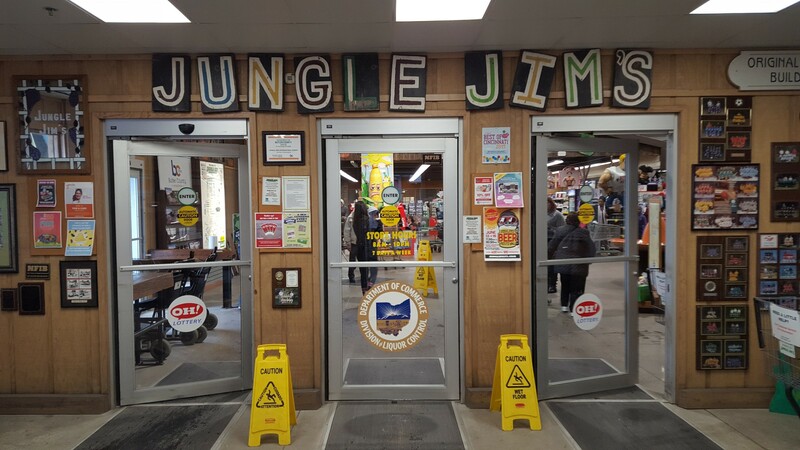 We ended up spending nearly as long at Jungle Jim’s as we did at the horror con. 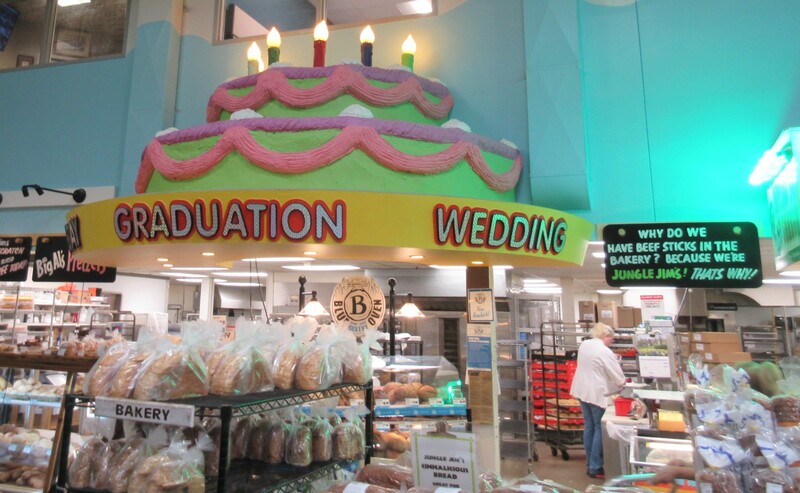 And Jungle Jim’s is open all the weekends of the year, not just the one. 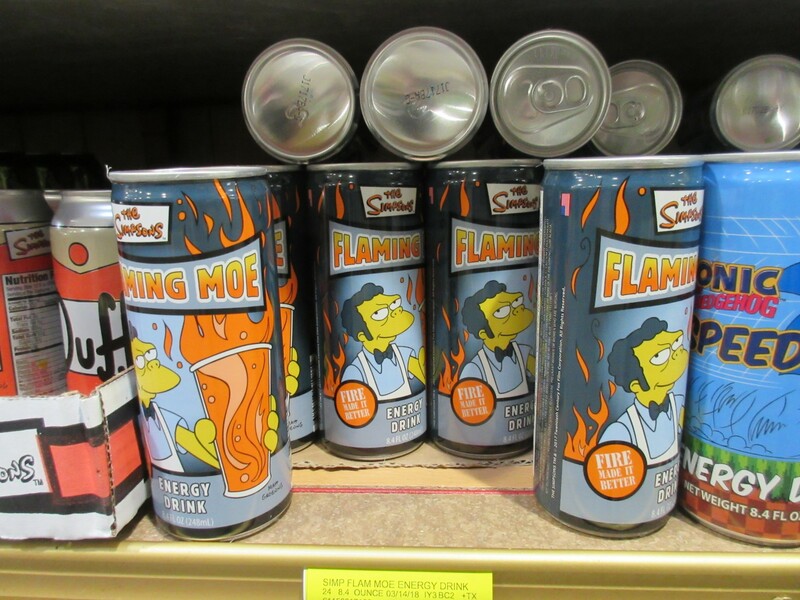 Advantage: Jungle Jim’s. Maybe on our next visit we can dig a little more deeply into the obscure and the exotic, when we don’t have a steadily worsening snowstorm on our tails.